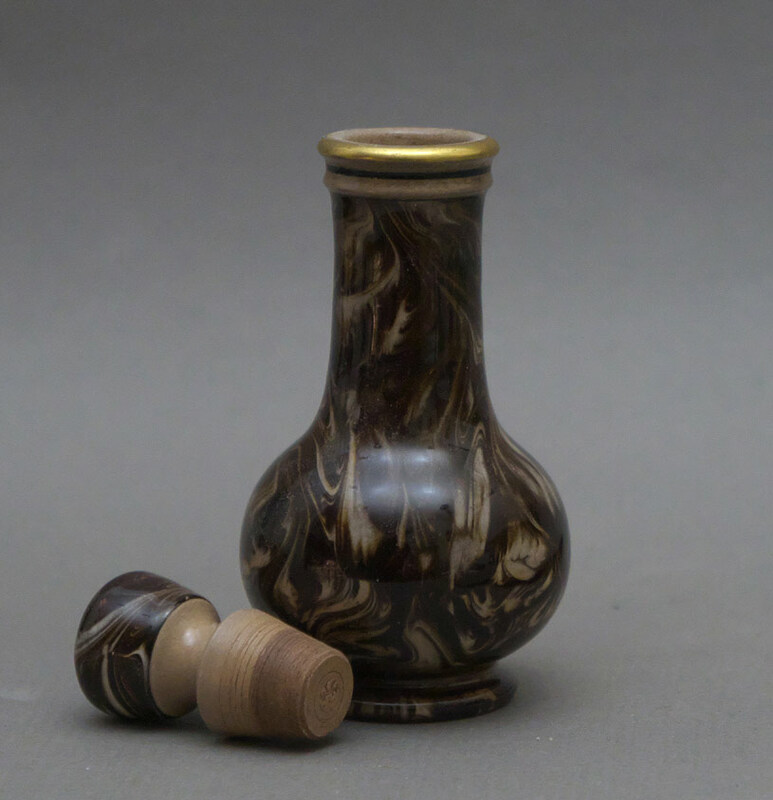 A 19thc. 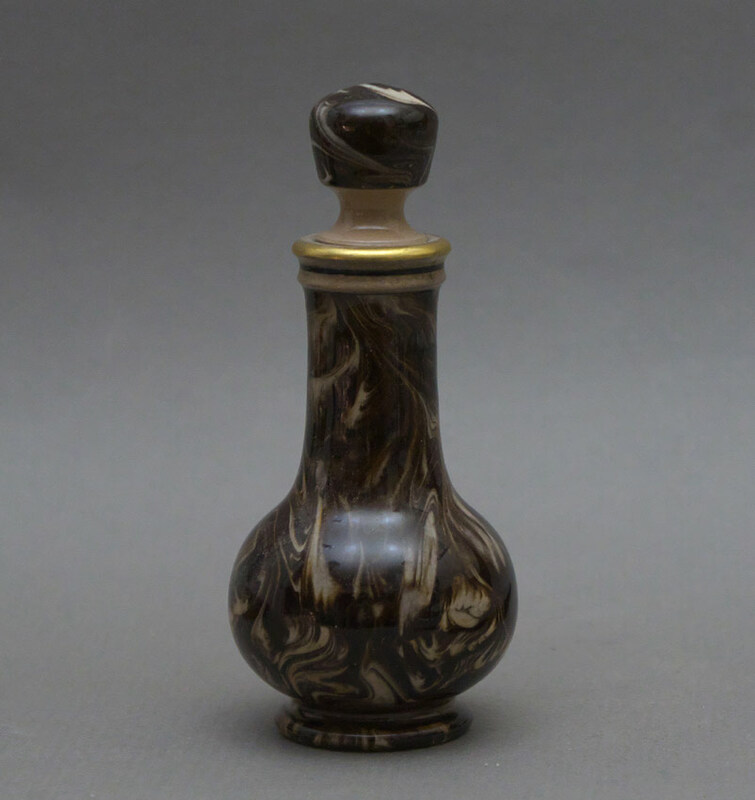 Macintyre agate ware condiment bottle and stopper in fine-grained stoneware decorated in buff and sienna brown marbling under a glassy overglaze. Rim finished in gilt.